Are you thinking of opening your own gym? 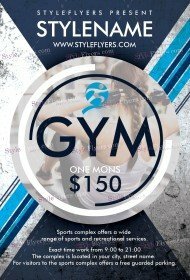 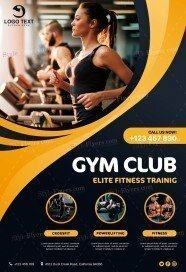 Or maybe you just want to promote your old gym and attract more clients with the help of affordable but still efficient advertisement? 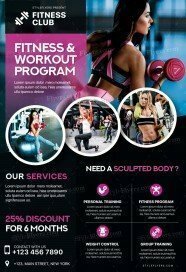 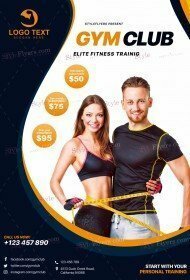 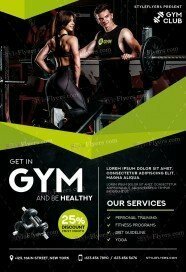 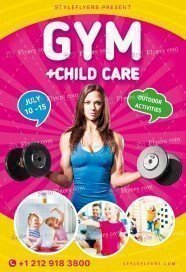 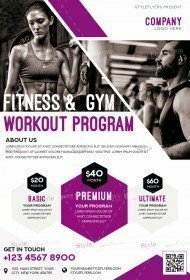 In both these cases, we can help you to solve these problems with the help of our premium gym flyer templates. 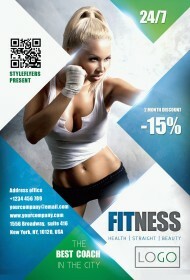 Here you can find the flyer to any tastes. Starting with harsh and masculine designs and ending with the stylish minimalism flyer templates. 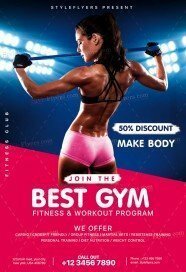 All templates in this category will surprise you with the high quality and fully layered structure. 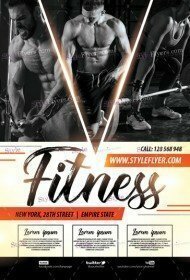 Each design is totally unique and authentic here. 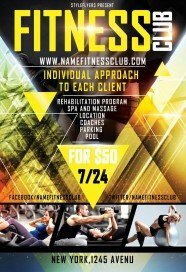 We try to make the offer even more attractive that’s why we have included free Facebook cover in each package! 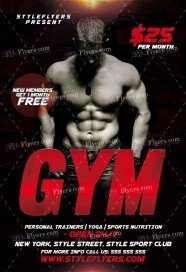 So picking one excellent gym flyer you will get two products for your promotion!